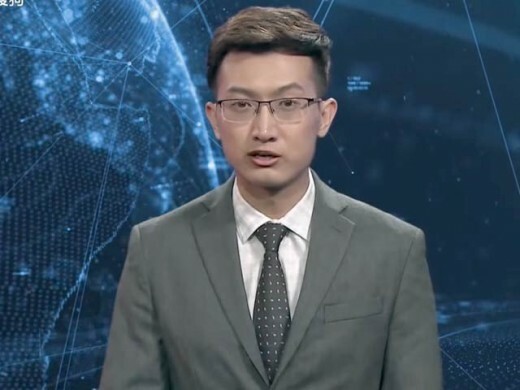 Beijing, China has manufactured the first news caster with the help of artificial intelligence and animation and he started telecasting of the news, which is found only in computer. However, the tone and the telecasting style is copied from a real newscaster. When the video is started, the robot newscaster said in its first news, “Hello, everyone, I am an English artificial intelligence anchor. First English AI Anchor Reads News. This is my very first day in Xinhua news agency” and after that the copies newscasters introduces itself with detail. It is made very close to the nature and viewing that, we appreciate the skills of Chinese and it seems original but it is only a robot. The Chinese news agency, Xinhua got introduced this robot for the first time and they chose the Chinese anchor face for it. The competent news paper, China Morning Post said that the news agency will also present another news anchor, which will read the news in the Chinese language. In the preparation of the news anchor, the leading search engine of China, Sogo and Xinhua worked together. The digital anchor copies the human voice and expression completely. Similarly, it seems the live human being rather than the dry and cold nature robot. However, appearing in the public for the first time, the mix response is appeared. Some people said that it is the artificial and some gave the concession by saying that this is the first experience and it should be continued.